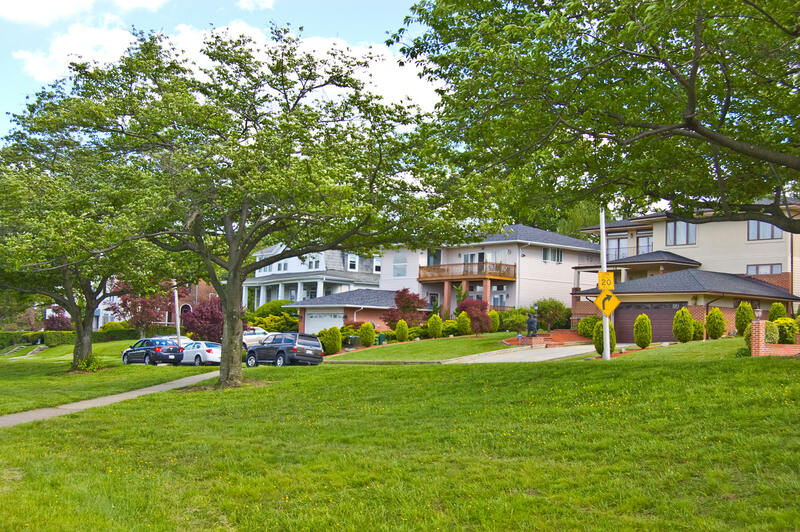 The Garwyn Oaks, Hanlon and Howard Park communities are tucked away in the northwest side of Baltimore City. Both Garwyn Oaks and Hanlon were originally part of the George R. Vickers’ estate, Mount Alto. The estate of George Vickers provided the land for the development of a community of single-family detached wood frame and row-house style shingle cottage homes. The land from the estate provided homes for some of Baltimore’s elite in the early 1900s. Bountiful trees, wide streets and flower gardens characterize the residential streets. Garwyn Oaks and Hanlon are close to downtown Baltimore, Mondawmin Mall, which is undergoing a $70 million renovation, Forest Park Golf Course, Gwynns Falls nature trails and Hanlon Park. Sprawling Druid Hill Park, home to the Maryland Zoo, is a 10-minute drive. Howard Park’s small neighborhood public school, Calvin M. Rodwell Elementary, is known for providing its students with a challenging curriculum including foregin language instruction, and its students have surpassed the statewide average for standard testing across most grade levels. Garwyn Oaks and Hanlon are communities of working families, retired residents and first-time homeowners. Many homeowners have lived in the community for more than 30 years, while many residents who once grew up in Garwyn Oaks and Hanlon have now come back to raise families. There is a sense of small town elegance and neighborliness among Garwyn Oaks and Hanlon residents, where the people, the neighbors and the community are always willing to help each other when needed. A little further northwest, leafy Howard Park offers single-family detached homes on tree-lined streets. Most of the land in Howard Park was granted by royal patent on December 21, 1739 to John Buck, who deeded part of it 30 years later to John Ridgely. It stayed in the Ridgely family until August 24, 1847, when John S. Gittings purchased the land. It was from the Gittings family that Nicholas M. Smith and William Schwartz purchased 389 acres in 1892. These two gentlemen established the Smith & Schwartz Company and agreed to donate land for a park if the city government would run a streetcar line to the park. Gwynn Oak Park was opened on May 15, 1895. The city absorbed the Howard Park community within the city charter in 1918. Today, Howard Park boasts a beautiful collection of primarily single family Victorian, Tudor and rancher-style homes with a smaller number of duplexes and brick row homes. Howard Park’s large Victorian homes offer 3,300 square feet of living space on 7,300 square feet lots. More modest homes average 2,250 square feet on 7,000 square feet lots with detached garages. Howard Park is close to Baltimore County, downtown Baltimore and Mondawmin Mall. Some houses border Forest Park Golf Course and Powder Mill stream. Gwynn Oak Park features a playground and picnic areas. Howard Park’s commercial district features eateries, clothing, beauty and barber shops, a gas station, a hardware store and banking. The Garwyn Oaks/Northwest Housing Resource Center, a certified housing counseling organization, offers area home buying assistance, helps residents implement block improvement projects and sponsors the Art in the Park event in Hanlon Park.